Welcome to another Freebie Friday! Today we are offering a $50 Gift Certificate for Stamp & Scrapbook Expo! Stamp and Scrapbook Expo has been hosting events for Scrapbookers, Card-Makers, Stamper and General Paper Crafters for 21 years. 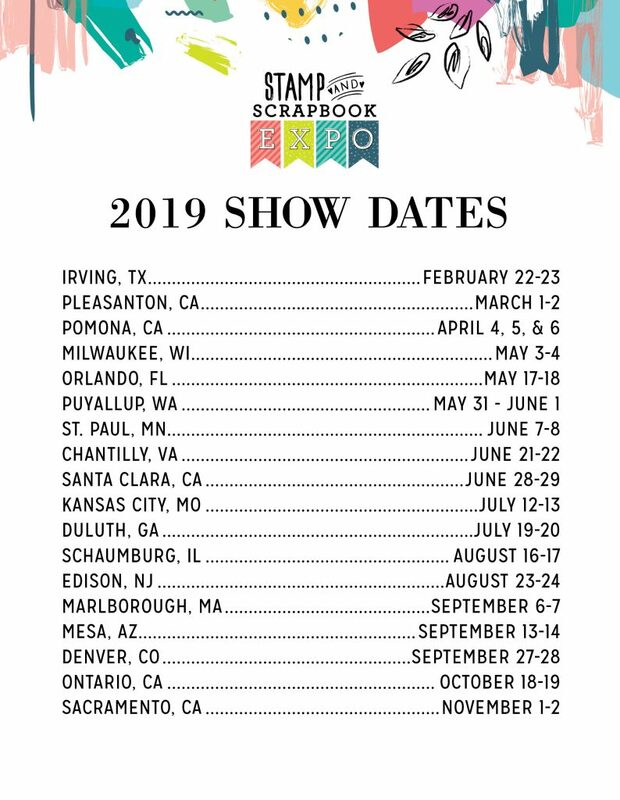 Based out of southern California, Stamp and Scrapbook Expo will have 18 events around the country in 2019. 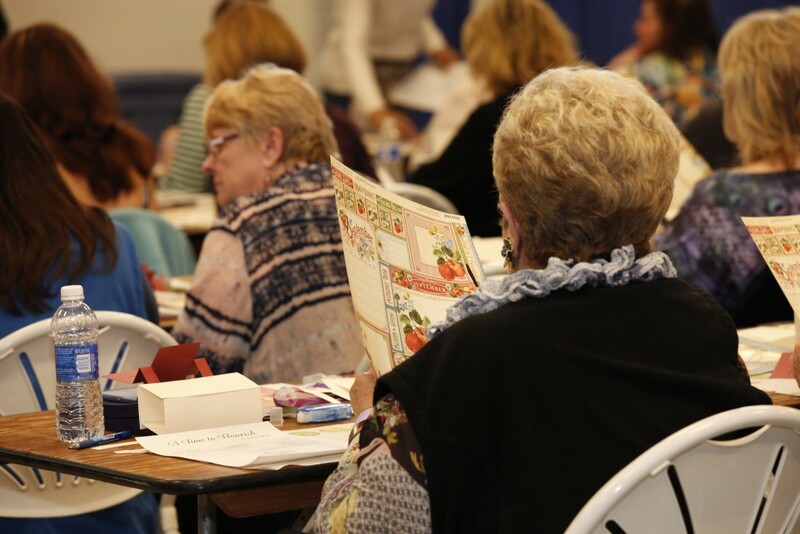 There are multiple facets to a Stamp & Scrapbook Expo event: Cropping, Shopping, and Workshops! Crop parties aren’t just for scrapbookers any more! We see people doing all different kinds of paper crafting, and sometimes jewelry making, sewing or coloring. The crops are open all day and into the evening giving you plenty of time to craft your heart out! Where else can you find crafting items of all types and sizes? 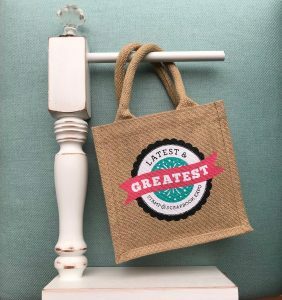 We bring a mall of craft stores to your local area including hard to find brands and specialty papers and tools. 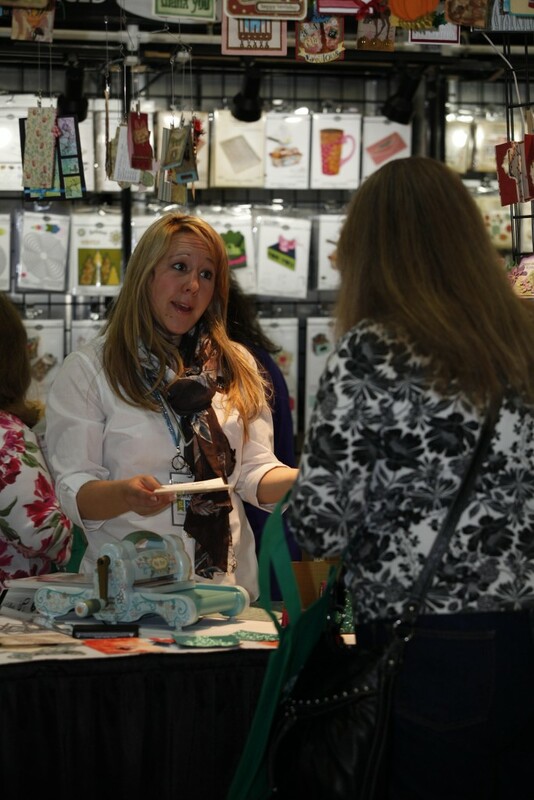 Stamp & Scrapbook Expo is a great place to take a workshop. There are workshops for all kinds of projects and skill levels. Take a look at one of our Workshop Guides to get a flavor of the offerings. This weekend we are wrapping up 2018, but if you would like to print out a schedule for 2019, here is the link to download a printable file. 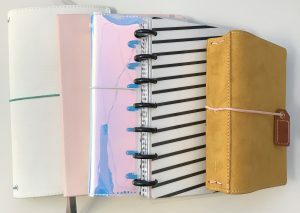 Start planning your crafting weekend for 2019 now! 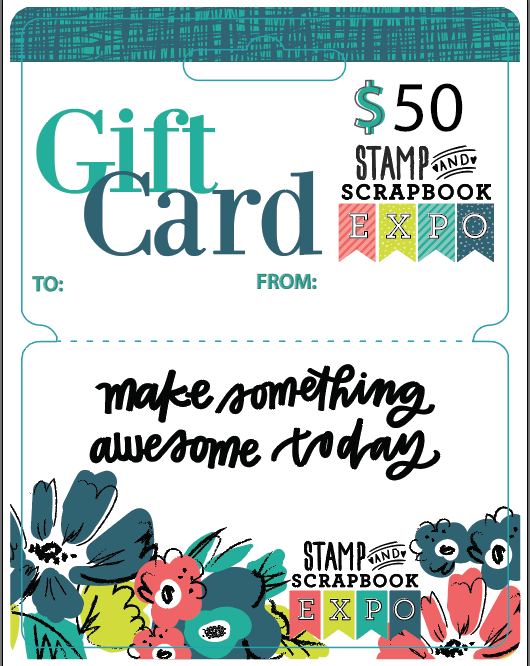 To help get you excited about next years shows, one lucky winner will receive a $50 gift card for Stamp & Scrapbook Expo. The gift card can be used for admission, Crops, Workshops or logo merchandise. Don’t forget that even when you are not attending a Stamp & Scrapbook Expo, you can always join us online. 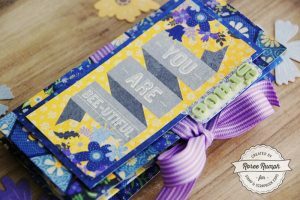 Last week Spellbinders sponsored our Freebie Friday giveaway. The winner of that prize is…..
Congratulations! Please email diana@scrapbookexpo.com with “Spellbinders Freebie Friday Winner” in the subject line. Thanks for stopping by for Freebie Friday. Don’t forget to leave a comment below for your chance to win. I’ll be back next Friday to announce the winner AND I’ll have another awesome prize up for grabs. Have a great weekend! This entry was posted in Blog, Freebie Friday and tagged Card making, Crops, events, Scrapbooking, Stamp & Scrapbook Expo, Stamping. I have the dates circled for 2019. This prize would be a fun start for shopping. Such an amazing give away. Can not wait for February. Last year in Irving was fantastic and love the new location! Every year my friends and I look forward to the expo. In 2019, we hope to attend multiple shows! I’ve got it on my calendar I look forward to it all year long. Winning the gift card would make it a special day!! This is a fantastic prize I would love to be a winner. Awesome prize! Thank you for offering. I’m saving dates to visit Pleasanton y Sacramento. The price will be very helpful . Thanks for the chance to win. I’m saving dates to visit Pleasanton & Sacramento. The prize will be very helpful . Thanks for the chance to win. It is the perfect way for a wife to spend opening weekend of fishing in Wisconsin – at a craft fair! Hope I win this one! Just heard about this event but I am ready. The dates are already on my calendar (in pen) cannot wait!!!! This gift card would be icing on the cake! Thank you for this opportunity! I can’t wait to go to the Milwaukee and Schaumburg Expos this upcoming year. This last year was my first time ever going and I loved the Milwaukee one so much I had to go to the Schaumburg one too! I can’t wait for the next expo – I’ve got it circled on my calendar! I sure hope I win the gift card. No matter who wins this prize. We will all have a good time creating awesome stuff and learning new things! Already planning & looking forward to next year!! This is great! And what better prize ?! I go to the Mesa expo every year with my mom and have the best time!!! I have already written out the request for time off form for Puyallup in 2019!! !